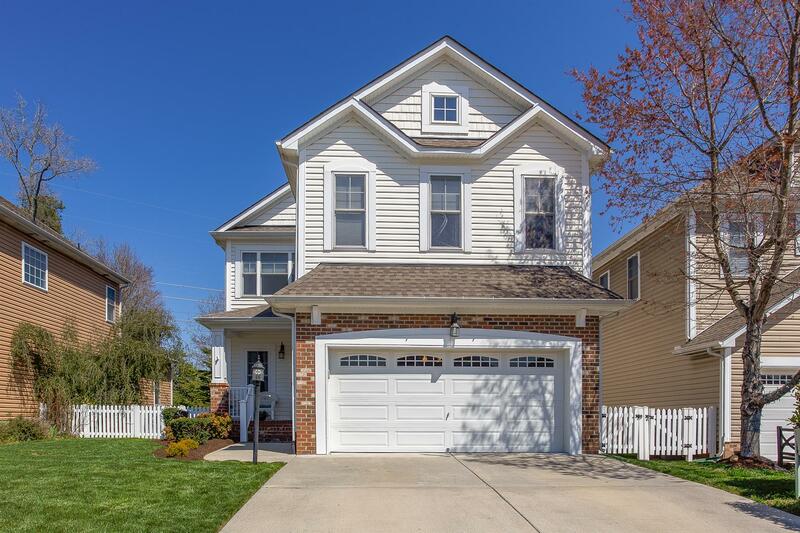 Welcome to this beautiful home in Hawthorne village at Charter Colony, Chesterfield. With 4 bedrooms and 2.5 baths, youll love the open, flowing floor plan which is perfect for families and entertaining. This home has a downstairs bonus room/study that can also be used as a 5th bedroom. Its been freshly painted and youll find upgraded blinds and shades, hardwood floors, and a carpeted family room featuring a corner, gas burning fireplace. The kitchen has a lot of storage and opens to a large breakfast area. Upstairs the large master bedroom has generous walk-in, his & her closets, and youll also find large walk-in closets in two of the three other bedrooms; all have overhead fans. The outside is a little oasis in the heart of Midlothian! Youll love the stone patio with paver lights, and the deck has been wired for sound and TV, making this an ideal relaxation and entertainment spot. This home has a spacious 2-car garage with additional storage. Other upgrades include a new AC unit (2016), and irrigation system. Charter Colony has 3 pools, 3 clubhouses, pavilion, tennis courts, and a playground. Minutes from 288, Saint Francis Hospital, and all the shopping and is in one of Midlothian's best school districts. This one wont last long!